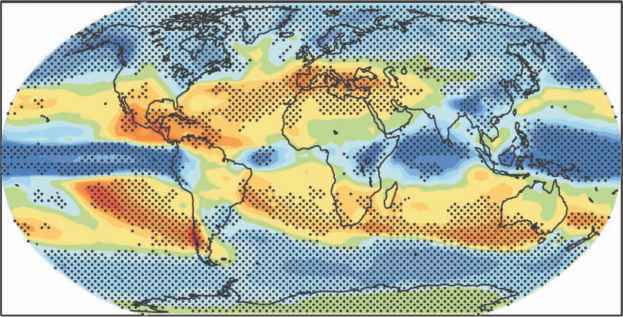 During the next century, global climate change is likely to cause substantial increases in the severity with which salinity, waterlogging and inundation affect crop production in many of the world's agricultural regions. In this chapter we address the effects of climate change on these three environmental stresses in terms of their threat to sustainable crop production. The effects of salinity, waterlogging and inundation on crop plants are examined, with a focus also directed towards the exacerbating effects of the complex interactions between these stresses. We identify key plant physiological traits as targets for breeding initiatives. Three possible approaches to the development of crops for saline, waterlogged and inundated soils are considered: (i) selection within crop species; (ii) the development of hybrids between adapted wild species and crop plants; and (iii) the domestication of halophytes. Finally, we detail some of the complex research, development and agricultural issues that need to be addressed by a broad research and development community in order to increase crop production during the foreseeable period of global climate change.